… that made him “the indispensible man,” as described by historian James Thomas Flexner? And what was it about him that elicited these encomiums from his contemporaries upon his death? “First in war, first in peace, and first in the hearts of his countrymen”, from a eulogy for George Washington adopted by Congress immediately after Washington’s death, written by Henry Lee, a soldier and political leader from Washington’s home state of Virginia. “To us he has been the sympathising friend and tender father. He has watched over us, and viewed our degraded and afflicted state with compassion and pity—his heart was not insensible to our sufferings. Unbiased by the popular opinion of the state in which is the memorable Mount Vernon—he dared to do his duty, and wipe off the only stain with which man could ever reproach him… “ (H)e who ventured his life in battles… did not fight for that liberty which he desired to withhold from others—the bread of oppression was not sweet to his taste, and he “let the oppressed go free… he provided lands and comfortable accommodations for them when he kept this “acceptable fast to the Lord”—that those who had been slaves might rejoice in the day of their deliverance.” From the eulogy by Rev. Richard Allen, founder in 1816 of the African Methodist Episcopal (AME), the first independent black denomination in the United States. The basis for this article is my reading, primarily, of His Excellency: George Washington, by Joseph J. Ellis. 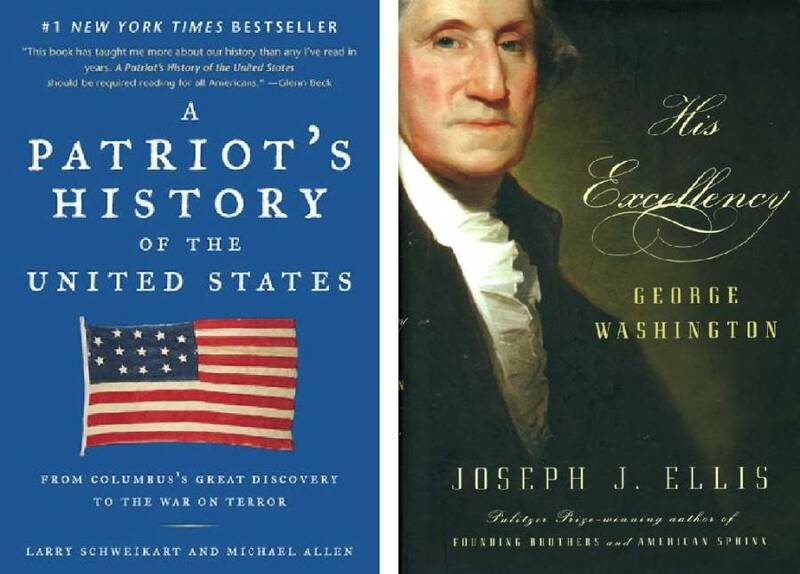 In addition, A Patriot’s History of the United States: From Columbus’s Great Discovery to the War on Terror by Larry Schweikart and Michael Patrick Allen, provides additional color and verifies the Ellis book, despite its tendency toward the polemical. George Washington was not a revolutionary, a great orator, or an idealist. He was a leader through example, publicly silent and fearless, always ready but never publicly eager for promotion or elevation to high office, and with enormous self-discipline. He was also land hungry (he owned over 50,000 acres upon his death), socially ambitious, sensitive to slights by English officialdom and society, proud, and with his emotions under such great control, sometimes explosive in temper. 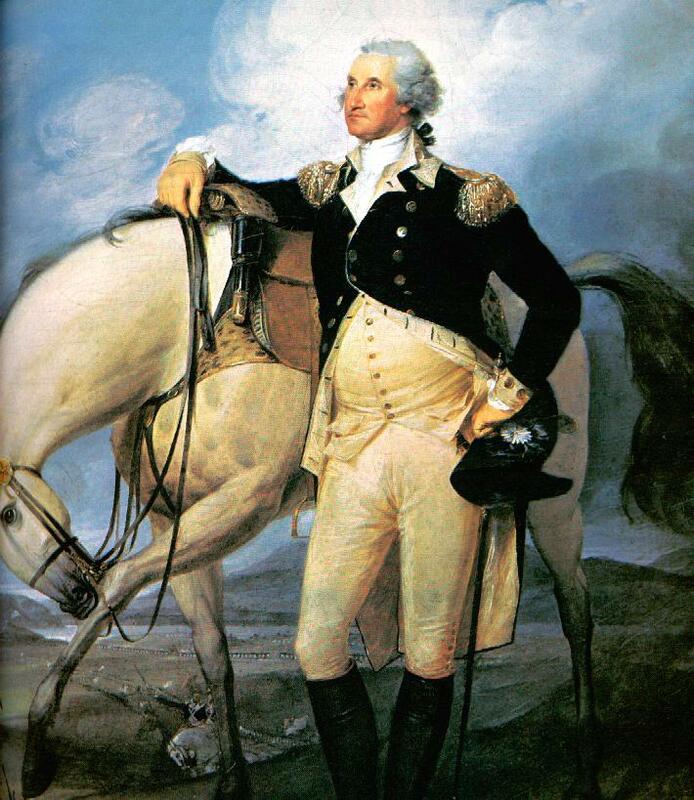 George Washington was physically large, held himself erect, and dressed impeccably, appropriate to a landed aristocrat and military officer. He exemplified, almost universally among his contemporaries, what an American leader should be. Thus, he was always chosen during the uncertain and formative years of the republic to lead and to guide the nascent nation. Winning the revolutionary war did not assure that the colonialists, now free from their masters, could form and maintain a nation. Washington saw it as the highest priority to form a strong nation, with all other considerations, including slavery which he saw as odious and pernicious, being secondary. His personal motivations can be attributed to his hunger for land, especially in the Ohio River Valley, which was forbidden by the British Royal Proclamation of 1763. Even before a revolution was thought of, however, Washington ignored this edict. Whatever personal motivation he may have had for attaining all his assignments and offices, his vision of a unified nation, combined with a certain few principles he held as essential, were necessary for it to survive after the founders declared it born. These included the primacy of the civilian over the military and the idea that the position of president was important, most of the time, as a symbolic role rather than as a decision-making role. He invented the cabinet system for running the executive branch of the government and delegated much authority and responsibility to his subordinates, intervening only when critically necessary, as it sometimes was between Secretary of State Jefferson and Secretary of The Treasury Hamilton, for example. Born in 1732, a fourth generation, landed American colonial, he was appointed at age 21 as major in the British Army’s Virginia Regiment to assess the strength of the French in the Ohio Valley. The French and Indian War had been ongoing for two years and would last another five years. He was actively engaged in this conflict and emerged, in 1758, as a lieutenant general at age 26. Failing to be permanently appointed as a British Army officer, he returned to civilian life as a planter and politician in the Virginia colony. He married a wealthy widow, Martha Dandridge Custis and took her two children into his household. Washington had no known issue of his own. It was later rumored that he had a brief romantic relationship with the wife of a neighboring plantation owner, but no such scandal was ever publicly aired. 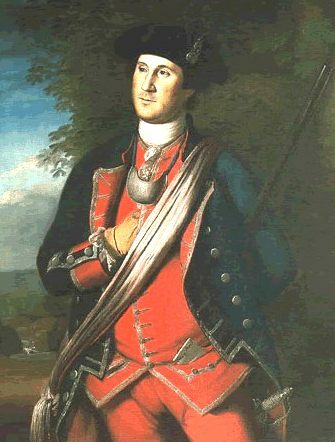 Washington entered the wider political arena as a Virginia delegate to the First Continental Congress, and in 1775 was appointed general and commander-in-chief of the new Continental Army after “the shot heard ‘round the world” at Lexington and Concord amalgamated the delegates against the British. He didn’t sign the Declaration of Independence due to his resignation from the Virginia delegation upon his appointment. He led the Continental Army to victory over the British by 1883, despite being greatly disadvantaged in manpower and matériel against the professional army of Great Britain. 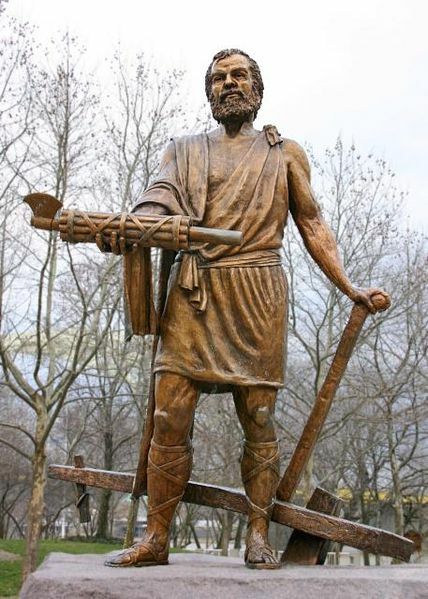 He resigned his military commission and returned to civilian life, again, in the manner some see as that of Cincinnatus to whom he has been often likened. He was recalled to duty in 1787 as president of the Constitutional Convention in Philadelphia. George Washington was elected first President of the United States of America. Against his publicly-stated desires to return to his plantation after four years in office, he was unanimously reelected once, but refused to stand for a third election. He gave his historic Farewell Address, wherein he extolled the benefits of the federal government, warned against the party system, stressed the importance of religion and morality, urged a policy of stable public credit, and warned against permanent foreign alliances and an over-powerful military establishment. He returned to civilian life, during which period he was commissioned as lieutenant general and Commander-in-Chief of the United States Army to serve as a warning to France, with which war seemed imminent. December 14, he died at Mount Vernon at the age of 67. He arranged for his slaves to be freed in his last will and testament. This entry was posted in Books & Literature, Government & Politics, History and tagged Constitutional Convention in Philadelphia, Declaration of Independence, First Continental Congress, George Washington, Joseph J. Ellis, Lexington and Concord, Lucius Quinctius Cincinnatus, Rev. Richard Allen, Secretary of State Thomas Jefferson. Bookmark the permalink. There was a lot more, but it the article would have been too long. If you have more interest, just click on the links. I recently finished American Creation by the same author. He traces both the triumphs and the failures of the American founders. Fascinating stories. Washington comes out well, I’ll never be able to view Jefferson the same. Yes, Jefferson, about whom I’ve written in these pages at least three times, comes out a bit tarnished–underhanded toward his boss, Washington, and hypocritical on slavery. Like you, I have a new perception of him, but he’s still an amazing person, as were so many of the founders. An excellent brief look at George Washington. His greatest gift as a leader, whether first in war, or first in piece…humble. Don’t see too many politicians taking a moment before starting a speech to excuse themselves for putting on eyeglasses and stating that they have give much in their service to their country. It is unfortunate that in public schools in the US today, our founding fathers are either glossed over or berated in the rearward gaze of “the education system” and not placed in the c ontext of their times. Thanks, Matt, for your comments. It was, perhaps, a period in the life of this world that will never again be achieved. We should constantly look to this time for the important lessons regarding Freedom and Liberty. Washington was concerned with image and posterity. He took seriously the idea of a paternalistic and enlightened aristocracy based on noblesse oblige. He suppressed the personal in order to play the role of a noble aristocrat. For example, he probably was a deist and had little interest in organized religion, but he forced himself to occasionally attend church as a formality and example to the masses, as he saw organized religion being important to the social order even if he doubted its theological claims. This sacrifice of the personal, however, wasn’t always taken kindly by those who valued their personal relationship to him. Thomas Paine had developed what he thought was a close friendship, having stayed for long periods of time at Washington’s home. But when Paine got locked into French prison and almost died, Washington as president never intervened, probably because he was worried how it would be perceived in terms of his public image. Paine, who highly prized loyalty, never forgave him for that. Washington was a public figure, through and through. That is simply what he was. All else was sacrificed to that end. Social propriety and social order were centrally important to him. He had no compunction in violently putting down the revolts that were a continuation of the American revolution, revolts that were started by those who had fought in the American Revolution and who were merely demanding what they had fought for, which was to be treated fairly. But to Washington as an aristocrat, they were simply troublemakers to be put back into their place. It was also about maintaining a traditional English society, as those involved in revolts like the Whiskey Rebellion were in many cases not of English ancestry and so the cultural tradition of Rights of Englishmen didn’t apply to them. Washington, born into the ruling elite, believed in a clear demarcation between those who rule and those who were ruled. That was the Federalists vision or what I prefer to refer to as Pseudo-Federalism, just a new form of concentrated power. I like to point out that so much of what the Anti-Federalists warned about became true after the Constitutional Convention. For all his good intentions and noble character, Washington in the end was in favor of a strong centralized government. “The founding fathers wanted a society determined by class, race and gender. They wanted to create an independently wealthy class of “disinterested aristocrats” (i.e., rich white males). Talking to many conservatives, I realize that this vision of a ruling elite still has strong support. “There were two problems with this vision. “First, few of the founding fathers were independently wealthy and so a disinterested aristocracy wasn’t possible. Only someone like Franklin was wealthy enough to work as a politician for free. The rest had to work jobs on the side such as lawyers or plantation owners. “Second, the 92% of the population didn’t want to be ruled by a benevolent ruling class. Also, with Jefferson’s dismantling much of Hamilton’s centralized government, grassroots populist democracy flourished. The American people didn’t need anyone else to solve their problems, especially not about their own local self-governance. In the first half of the 19th century, government as a formal institution was almost invisible. “The independence of American alcohol and the protest against taxation has always gone hand in hand. This continued with the new American government creating yet another tax, this time on whiskey. Small producers were taxed at a higher rate than larger producers, at a time when economic inequality was growing and the power of the wealthy was growing. The small producers were so poor that they barely had enough money to live on, much less pay taxes on the whiskey they were producing to make a living. The response was the same as when the British tried the same tactic. This led to the Whiskey Rebellion (similar to Fries’s Rebellion, it involved many ethnic Americans). The wide protest movement was put down, but resistance continued for it was difficult to enforce. The government was forced to repeal it. Whose American Revolution Was It? As you might have guessed, I’m an Anti-Federalist. That is to say I support true Federalism that was first and fully articulated in the Articles of Confederation. The only Federalist that I have great admiration for is John Dickinson. Like Paine, he lived in Pennsylvania and was influenced by Quaker thought (Paine’s father was a Quaker and encouraged him toward plain speech and Dickinson was raised as a Quaker). There might be a good reason these two were the greatest pamphleteers in the colonies, in the Quaker emphasis on education and a equalizing attitude about language. Many things made the Quakers unique, but one in particular is relevant here. Quaker constitutionalism upheld the view that a constitution was a living covenant made by a specific group of people with the living God. The liberal idea of the Constitution as a living document comes straight out of this, and it has its origins in the Protestant Reformation which established the earlier Gnostic view that humans could have a direct relationship with God. Related to this, Quakers were opposed to natural law for the divine was a living force, not a set of scientific-like or legalistic laws of the universe. The disagreements over natural law is what forced Thomas Jefferson to be so ambiguous in the Declaration of Independence, a document meant to unify, and so the differences were papered over. Anyway, Dickinson is important because he wrote the draft of the Articles of Confederation. Even though he was a Federalist, he actually took seriously the ideals of Federalism. He was no Pseudo-Federalist like some of the others who claimed Federalism. His Federalism came out of Quaker moderation and it is the same impulse that made him reluctant to initially support revolutionary war. Quakers were pacifists, after all, even though he had given up on strict Quakerism. There is something else that makes the Articles of Confederation worth understanding in greater detail. After Dickinson wrote a draft of it, it was further revised by Anti-Federalists. So, it was a marriage of Quaker-inspired Federalism and the more radically democratic Anti-Federalism. Quakers, by the way, originated in the English Midlands where the Vikings/Scandinavians settled and so they had more in common with the linguistic tradition of freedom than that of liberty. That was their natural alliance with the Anglo-Saxon Puritans during the English Civil War. Real Federalism and Anti-Federalism had in common taking seriously the agreement of a Confederation, in direct opposition to centralized governance and concentrated power. The original states were called such because they were intended to be independent and semi-autonomous nation-states. That is what was so galling about the Constitutional Convention. The underhanded means of passing a second constitution was unconstitutional according to the consensus agreement explicitly stated in the Articles of Confederation. So, the second constitution began as an illegitimate document right from the beginning. That is a bad start for a country supposedly founded on the democratic and republican creed of freedom and liberty. Fascinating history–thank you. Something I will return to, including a close reading of the Articles.